“Illness and disability might come in many forms. Some illnesses and disabilities have to be faced from birth; others are developed during people’s lifetime. They can come on suddenly or gradually develop over many years without the person knowing about it. People are usually genetically predisposed but illnesses can also be the result of the polluted environment or the lifestyle we adopt. 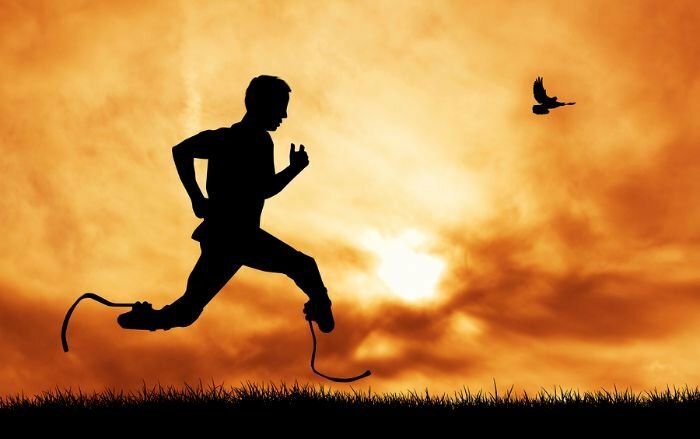 Coming to terms with any illness is not easy and might take a long time especially when your illness surprises you all of a sudden,” an excerpt about disability taken from the https://www.disabled-world.com/. For many people, a chronic illness or a disability is not a short-term inconvenience, but rather a long-term (sometimes permanent) way of living. The early stage of the adaptation is tolerable at a certain level, in the hopes that the diagnosis is wrong or the magic pill is being brewed in the lab of a big pharmaceutical company. As the situation prolongs, eventually the denial stage will be replaced with anger and depression. This stage can be the most difficult phase both for the patient and the family, and the caregivers as well. A disabled individual often has to change where he or she lives or works, or how he or she travels or spends free time, and change isn’t the easiest thing to deal with in these circumstances. Moving to a new home or facility which is more adaptive to the disability may greatly help the disabled and the family. A buy my house for cash or any means to speed up the selling process of the property is a welcomed help. And caregivers play an important role in the acceptance process. In general, there are some steps to take that can make a loved one’s life a bit tolerable. With any type of disability, it’s helpful to make a list of any special needs so that these can be addressed. It may take longer for the loved one to complete certain activities. Handling only important activities at first may be the first steps, before slowly including other activities as he or she feels able to do so. Assistive devices may help complete certain tasks. Many of these devices are relatively affordable and insurance plans may help pay the cost. Brushes with suction cups, cutting boards for one hand use, one-handed can openers, scoop dishes, scoop dishes, wheeled laundry baskets, “clapper” light switches and many more can make daily living much easier. Always address your loved one first before the disability. Their individualism is important to their self-esteem. Be extra patient if it takes more time for them to say something. Offer to help instead of insisting on helping them. Learn more about the disability for better understanding. Speaking at an eye to eye level is especially important, especially for individuals suffering from hearing loss and those in wheelchairs. Always have a positive approach and encouraging mindset. If it’s time to move for a better living condition, either for a fresher, less polluted air, quieter surroundings, or more space to move around; finding a new home is crucial for the recovery of the individual with a disability. Lamar Buys Houses is a home buying company that offers simple home selling solutions for families in need of a speedy sale. Can you sell a house as-is? Of course! Whatever is the reason behind the move, whether to relocation, live in a better neighborhood, less traffic, or due to a medical condition – we buy houses fast. With our fair cash offer, we aim to complete every transaction in as little as 5 days. If this service is what you are looking for or if you know someone who can benefit from our speedy process, talk to us!